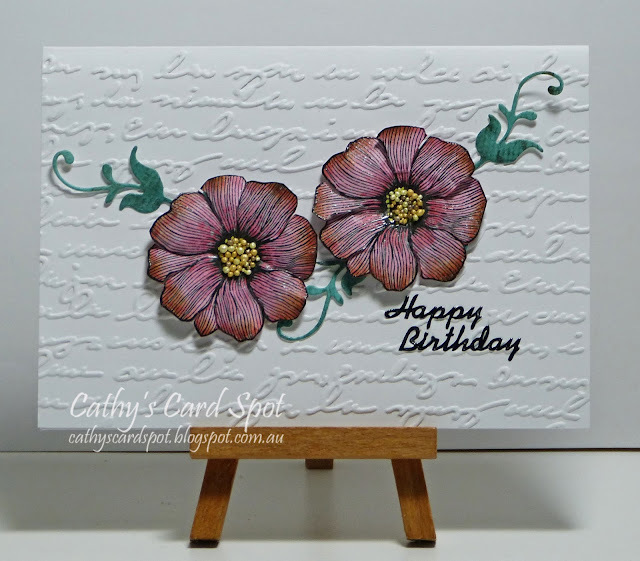 Cathy's Card Spot: Vintage flowers. I have a lot of old stamps, in fact I seek out ones I missed from Stampin Up on a couple of 2nd hand auction sites here in Australia! I told hubby it's a legitimate form of collecting lol! This stamp is from a Stampin Up set called Summer Solstice and it dates around 2011. I stamped it in versafine, clear embossed, and fussycut it. I also cut along the edges of the petals, so thet when I shaped the flower it allowed the petals to move and separate for dimension. The flowers are coloured with distress markers in spun sugar and worn lipstick, with a touch of vintage photo distress ink at the edges. The flourish die is cut from a scrap of watercolour paper coloured with jade infusions powder. 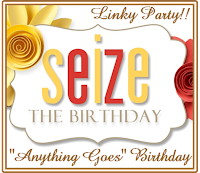 and to the anything goes option at Seize the Birthday. Pixie's Crafty Workshop. You only need to use 1 scrap or snippet to play along. SU Summer Solstice stamp and Pretty in Print embossing folder; versafine ink & clear ep; distress markers; prills micro beads; PaperArtsy Infusions-jade; MFT small leafy flourish die; sentiment sticker. Beautiful card, Cathy. Lovely embossed background and flowers. I love all the dimension. Congrats on your GD spot! The script e/f is pretty with the flowers. Your coloring is lovely and I like seeing older stamps used on cards. We buy so many new stamps so it's nice to give the older ones some love too. Such a sweet card, Cathy! I love all of the texture from the embossing as the background as well as those beautiful flowers. You just keep on collecting those beautiful old Stampin' Up! stamps and play along with us as often as you can! Thank you for joining us as our Guest Designer at Retro Rubber and please come back again soon. Lovely card with sweet details. The embossing is so pretty under the lovely flowers! Glad you were our GDT for Vintage at Retro Rubber! Uh oh, now I need to be on the lookout for that embossing folder! Such a pretty card with the beautifully coloured and shaped flowers. 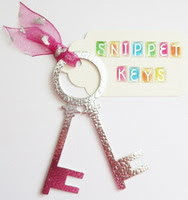 Thanks for linking this up at Seize the Birthday! Beautiful card and such wonderful colours. Lovely card, the embossing is pretty as a backdrop. Wonderful card Cathy! The embossed background is gorgeous and a perfect base for those wonderful flowers! So funny about you collecting SU's old stamps - a while ago I joined a UK site and listed lots of my pre-loved SU stamp sets. Problem was, at the same time I spotted quite a few 'oldies' that I ended up buying! Not as many but it certainly wasn't the original intention. Your flowers are amazing - so dimensional and such pretty colours. Thanks for guest designing with us this week at Retro Rubber Challenges. Hello Cathy and thank you for being the Guest Designer at RETRO RUBBER, your card is gorgeous, I have this beautiful set and I haven't used it in a while but you just inspired me to create with it. I'm all for stamp collection and the RETRO RUBBER challenge gives you the chance to use all of those older stamp sets often. Thank you for playing along this time and I hope you come back soon.